Where are we going now? ... And in which timeframe? We had Revan and now the incoming Darth Revan in a short timeframe (< 6 months, right?). Two incredibly OP characters (we don't know Darth Revan's kit, but of course he will be). What else of comparable or higher OP could we ever have in the next 1-2 years? Jedi Luke? Jedi Master Luke? Something form Episode 9? (it will be the last.....). What will they offer then to their crazy spenders audience? Correct me if I'm wrong but I saw no official confirmation that Disney ends it with episode 9. The Rey story-line yes, but not Star Wars itself. Clone wars era seems most likely for rework pass given new season. Perhaps a Mace Rework like GMY got to make him BAMF for real, and some new Jedi/Clones for spending purposes. I'm hoping Ki-Adi-Mundi and Quinlan Vos and Gregor and Wulff for clones. Maybe lesser reworks to other Jedi like the BH got. Padme? They have hinted at OT content, though I'm not sure who else other than Jedi Luke and maybe the classic fighters? Maybe Leia/Bousch? The oft hinted 4Lom? Limited non-bit characters left. Hobby? Gold Leader's Y wing? The First Order/Resistance and maybe Hermit Luke for new movie. Only other I am sure about is Beckett. He is coming for sure. I have seen it through the force. Beckett. Possibility for some new characters from "The Mandalorian" but not certain of its release date. But a Cross between Boba Fett and the Red Vioer from Game of Thrones would sell very well I imagine. Really looking forward to this actually. I hope after Darth Revan, they switch the timeline back to "classic-movies" and CloneWars. I like this periode more than "the old stuff"
Just wait if Ep9 or the Solo-Triology brings some more Toons. I think CG will do a mix of reworking old chars (some of them have skills where you see, they were designed before protection came out) and launching new toons from a new story-line. We are not sure about Darth Revan's OP status. Being at similar power level to Traya with some more focused abilities to counter JK Revan would be enough while keeping the power creep in check. There are several Old Republic characters that could still be released (Malak, Calo Nord, Bendak Starkiller, half of the playable characters from the second game). 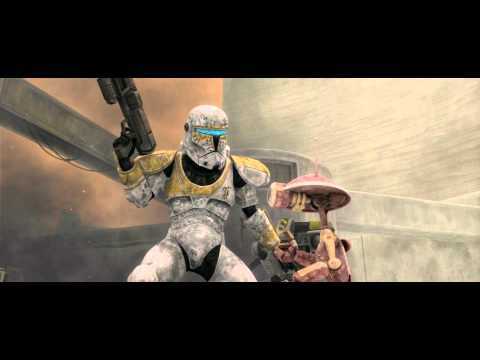 In terms of where they're likely to go next, I'd say Clone Wars era with a Legendary that involves the Separatist Droids. Most likely it'd be Jedi Master Obi-Wan (as seen on the title screen). Padme Amidala would likely see a release in the Guild Event store for a Territory Battle award (datamined showing selectable TBs being a hint at possible new battles coming). They could use those two characters to lead into the next Journey, which could be Sith Anakin (pre-lava burned). Marquees for Shaak Ti and Ki Adi Mundi among others. Preferably all of that would lead into a Geonosian Arena raid. A lot of that is probably wishful thinking, but it'd make for an interesting summer and would fill the gap until The Mandalorian content hits. I was honestly hoping they weren't going to release Darth Revan yet. I was hoping they were going to stop force-feeding KOTOR characters siren our throats for awhile. I know this may come asca shock to some people, but not everyone loved KOTOR - not even people who actually did play it. Truth be told, I played it....and didn't even finish the first one. I guess that's part of the reason I don't understand CG's hard sell of "all KOTOR all the time" the past several months. Many younger players have never played it. And when fan boys are saying "oh! You HAVE to play it" some of us who had are thinking "no, not really". It was fine and it was Star Wars. But the game play was mediocre and the characters, imho were rather meh. I love Star Wars but didn't even finish the first KOTOR. But I did finish Buldur's Gate (I & 2) and Neverwinter - so it's not like I don't appreciate long, story driven games. Sorry, but for some, KOTOR wasn't all that. I'm sure there will be a l8ng line of people to tell me I'm wrong. Probably the she people who have been throwing money at CG to keep the KOTOR meta going. That's fine. You're entitled to your opinion - as am I. Which is why my wallet is closed. And why I hope the KOTOR era if SWGOH is in its final....months. Try KOTOR2. Much better story and wayyy more interesting characters.